Millennium Precision is proud to support the US defense industry and consistently provides great Swiss Style CNC machined components with high quality and craftsmanship. With ever-increasing interest and investment in the defense industry, products need to be on time and build with the best materials. We have a short lead time of 2-8 weeks to meet any deadline requirements our defense customers may have. Our quality control standards are spectacular, and with our ISO9001:2015 certification, you can have the confidence that we only release the best products possible. 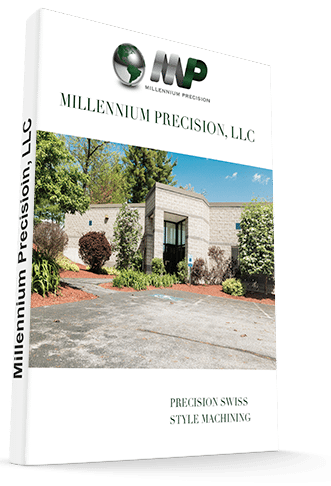 Commonly the defense industry calls for both low quantity batches for testing and high production volumes, which is not a problem for us here at Millennium Precision. We offer engineering support to assist our customers with their product development and ensure it meets all of their standards and production volumes, as low as a single part, to allow customers to test their machined part prototype before mass production. Once the decision has been made to proceed to mass production, we can handle the volume: with experience of production volumes more than 300,000 units, we can support nearly any volume required.